Spanish telecommunications company Telefónica has launched a new trilingual web portal called ‘OpenSpain’ (www.openspain.es) to provide assistance and information to refugees arriving to Spain and the non-governmental organisations that assist them, in an effort to better help the refugees adapt and integrate into Spanish society. 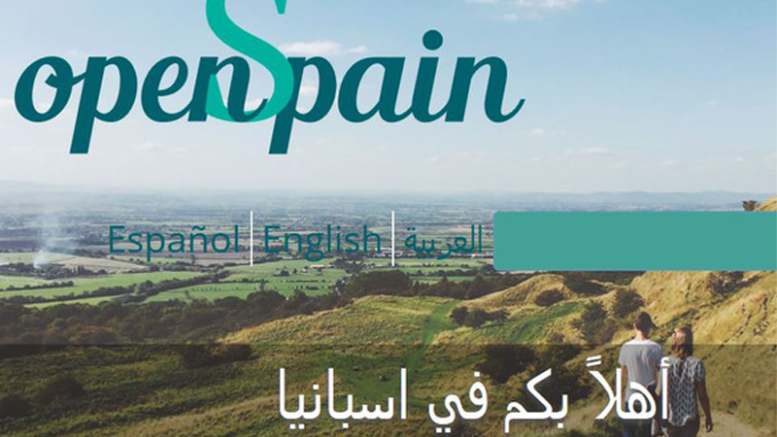 Said to be the first of its kind available in Europe or worldwide, the OpenSpain portal hopes to facilitate a smooth initial entry process for disadvantaged refugees arriving to Spain by providing them with information on accomodation, host-programs and affordable housing programs. It also provides information on legal documentation needed by refugees, advice on their rights and obligations, and information about work possibilities, education, healthcare and public transportation in and around major cities, such as Madrid, Bacelona, Sevilla and Valencia. The OpenSpain project was developed over a six-month period by an enterprising young team of nine students and professionals aged 23-29 and of Spanish, Syrian, Iraqi, Iranian, Sahrawi and Venezuelan descent, working with the support and advice of three expert mentors from the Madrid International LAB technology incubator. The initiative was sponsored by Telefonica’s JOIN technology innovation initiative and received support from the city of Madrid’s Madrid International Lab, the Spanish government’s Red.es Internet technology initiative, the Ministry of Employment and Social Security and the Spanish Catholic Committee on Immigration (ACCEM).